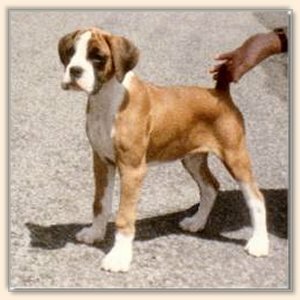 From the moment of his birth, we suspected that he was destined for a great future. 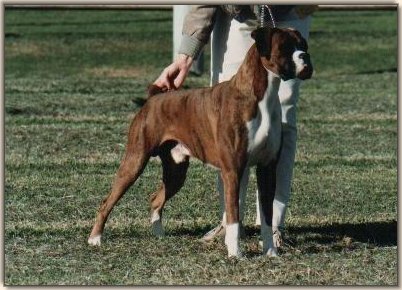 Self assured and somewhat arrogant in nature, he matured into an outstanding showdog, demanding attention from judges as though he owned the ring with his majestic yet elegant demeanour. That there were many special awards, including 26 BIS, 8 RUBIS, 66 BIG and 4 BISS. 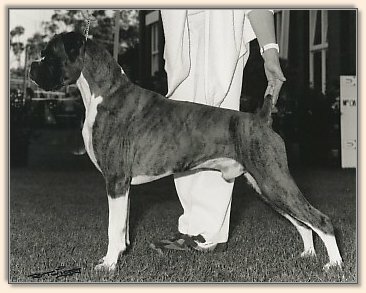 Royals were his specialty with 11 CC's and 9 BOB's and 2 BIG's under international judges including Mrs Ann Rogers Clark, Mr Harry Jordan, Mr Pablo Dondina, Mrs Ritva Raita, Mrs Ferelith Somerfield, amongst others. 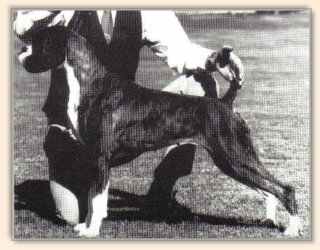 His BISS awards were taken under Boxer judges of reputation including Mr. Robert Forsyth, Mr Phillip Greenway, Mr. Don Bradley, Dr Omen van Kloke. 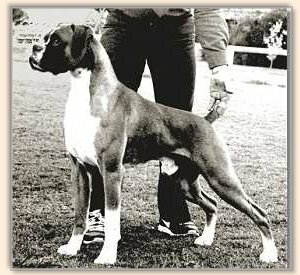 Apart from his show career, Simon excelled as a sire, producing 37 champions, and 2 Grand Champions-a record for the Boxer breed in Australia until overtaken by our illustrious import, USA Ch Merrilanes Golden Gloves. 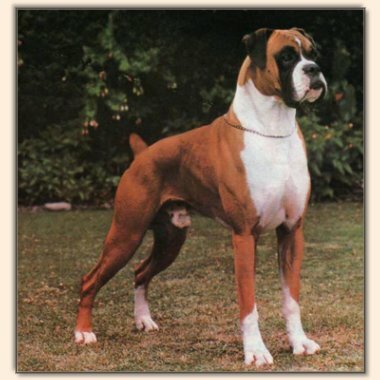 Under a later ANKC recognition of champions, Simon would have easily become a Grand Champion having amassed 3625 cc points but that is now history. Simon was very dedicated to the family, and particularly the younger generation whose company he enjoyed most of all and whose security he made his responsiblity. His record is now that of history, his memory still lives in our hearts. Amassing over 700 cc points before we lost him at age 5 years. 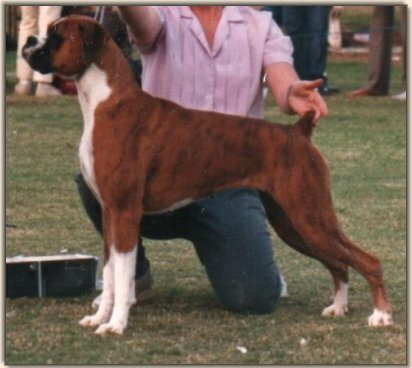 Owner/Breeder John & Roxie Kennedy (Taratan Boxers)/Denise Crowlee. Retired for several years then came out at 7 and 8 years of age to win BOBs yet again.